InterActiveHealth Recent Blogs 1/3 of all births are done through a C-Section. A recent study has really brought to light an interesting aspect of giving Birth. A recent study suggested that at least 34% of all childbirths are done as a C-section. This begs the question….are all of these C-sections medically necessary? It is certain that the number of this procedure is increasing. 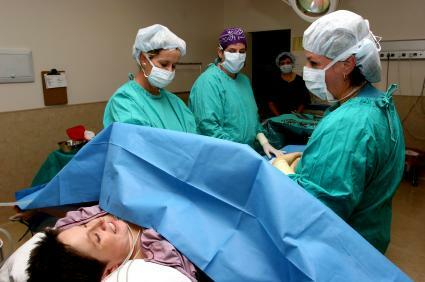 Giving birth by Cesarean section, also called Cesarean section, can be a difficult choice. For many it becomes a life saving measure during an emergency while giving birth. It is another valid option other than vaginal delivery. The raise in number of C-sections is astounding. Consider that in 1970 only 6 percent of all births were by C-section. Back in 2005 that number had increased 5 times to over 30% of pregnancies. For this type of surgery, it is often through the abdomen, then through the uterus to allow for the birth of a child. It is often considered riskier than vaginal birth but both procedures cause a risk for mortality of both the baby and the mother. 1.) A previous C-section – although not a must – but having a prior procedure does not prohibit you from ever having a vaginal delivery again. Florida (38.6%), New Jersey (38%), and Texas (35.9%), had the highest rates. Utah (22.4%), Wisconsin (25.1%), and Colorado (27.3%) had the lowest rates. Study was done by HealthGrades – this website allows a user to search and rate their physician. What was your experiences with a C-section? 0 Responses to 1/3 of all births are done through a C-Section.